Welcome to Best Escape Massage Whether this is your first massage or you're a regular, I'm here to help you escape for a while. Massage therapy has so many benefits and purposes. If you're here for relaxation, pain management, or to receive the many health benefits massage therapy provides, I'm here to meet those needs. I will do my best to give you the best! Medical studies have shown adding massage to existing pain management regimens provides further comfort and alleviation. Faster healing and overall better health has been reported with the use of massage. Massage relieves muscle tension by enhancing blood flow, which causes muscles to relax and decreases inflammation by activating genes that naturally reduce swelling. Massage reduces pain intensity by diminishing bodily substances that create and prolong pain and improves recovery by stimulating mitochondria, the “energy packs” driving cellular function and repair. Improves circulation which delivers more oxygen and nutrients to cells, benefiting the heart, muscles and vital organs. Stimulates lymphatic system which “cleanses” cellular waste materials and can result in increased energy. Helps control blood pressure which reduces risk for heart attack and stroke. Reduces anxiety, promotes relaxation and emotional well-being, that may prevent onset of depression. Customer Comments "Rodney has a serene space that is comfortable, inviting, and relaxing. He is professional and his massages are the best I've had. 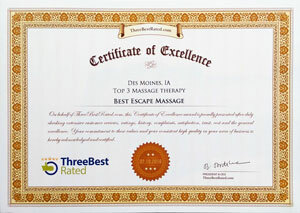 He can tailor the massage based on your particular needs that day and just seems to know exactly where to focus!"